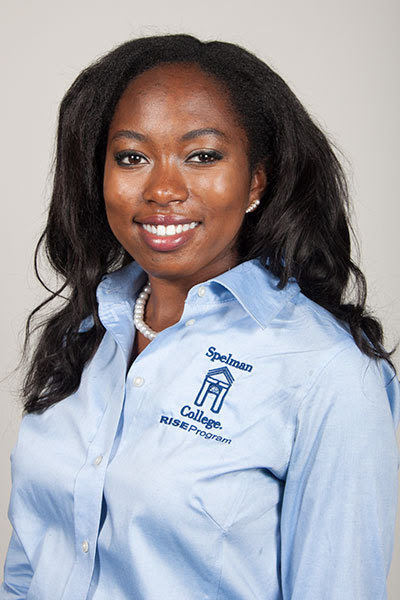 Kelsey Gallant is a highly motivated junior Biology major at Spelman College. Her participation in biomedical research began as a rising-senior at the North Carolina School of Science and Mathematics through the laboratory of Gerard Blobe, M.D./Ph.D. at Duke University where she studied TGF-beta signaling and pancreatic stellate cell activation in pancreatic ductal adenocarcinoma. Kelsey has been a participant of the NIH General Medical Sciences RISE Program since her freshman year at Spelman College. Through this program she has conducted research at Morehouse School of Medicine and Emory University. From these experiences, she has gained a better understanding of next generation sequencing and breast cancer metabolomics respectively. She has additionally conducted research as a Summer Honors Undergraduate Research Program fellow at Harvard Medical School under the mentorship of Alex Toker, Ph.D. for the summers of 2015 and 2016. During both summers, she focused on elucidating resistance mechanisms in Akt signaling in breast cancer. Currently, she is working on designing an R-based metagenomic network of antibiotic resistance genes in the A.thaliana microbiome with Mentewab Ayalew, Ph.D. at Spelman College. She is additionally very adamant about exposing STEAM to underrepresented minorities, particularly black women, and looks forward to promoting those fields as a Cofounder and Review Team Leader of Continuum, the Spelman College Undergraduate Research Journal. Biomedical research through a translational lens is her primary focus, with special interests in the disciplines of cellular biology, cancer biology, genetics, and bioinformatics. She is invigorated by the intersections of discovery research, biotechnology, and advancement in precision medicine. Kelsey aspires to enter a competitive graduate program with a Ph.D. in genetics and will be pursuing these interests as an incoming gRED Summer Intern at Genentech in South San Francisco, CA.